On Saturday, San Diego Mesa College and the San Diego Community College District will make history when students in California’s first community college baccalaureate program receive a bachelor’s degree and walk across the stage at Mesa’s spring commencement. This momentous occasion is the result of a years-long effort that led to the state’s Baccalaureate Pilot Program, a program that allowed Mesa College, as well as 14 other community colleges, to offer four-year degrees in specific workforce fields. Mesa’s program is in the growing field of health information management — a profession that is playing a critical role in the region’s economic growth. Who are these new graduates? Victoria Bradbury, a medical coding specialist at Sharp Healthcare, said her professional options will be almost limitless once she passes a certification exam from the American Health Information Management Association that marks the last step needed before becoming a registered health information administrator. Michelle Gurrola, a Scripps Health quality control analyst, plans to focus on consulting in the growing field of healthcare informatics. Henry Cunningham, who works at UC San Diego Health, is reviewing his options as a health information data analyst. The health information management program illustrates what can happen when community colleges are visionary and progressive. The Mesa College program was designed by faculty and administration in collaboration with industry and trade organizations to provide accessible, high-quality instruction that prepares students to work as health information administrators in a variety of healthcare settings, including hospitals, outpatient clinics, government health agencies, and electronic health records industry vendors. The need is profound. Statistics from the U.S. Department of Labor show health information management is one of the fastest-growing occupations today. The San Diego region as a whole is one of the largest health care providers in the country, and it houses several major medical centers and military hospitals. Rady Children’s Hospital is one of the largest and most prestigious pediatrics institutions in the United States. Major research takes place at the UC San Diego Medical Center and the Scripps Research Institute. Twenty-four states currently authorize community colleges to offer four-year degrees, and the Community College Baccalaureate Association estimates about 90 community colleges across the country are offering a bachelor’s degree. Most community college baccalaureate programs are narrowly tailored to address workforce preparation. The California Baccalaureate Pilot Program, for example, allows only 15 community colleges to offer one bachelor’s degree program, and that program must be in a field that has a well-documented need for bachelor’s level employees, with no duplication of bachelor’s programs offered by public universities. Mesa College’s health information management program underscores why the San Diego Community College District is responsible for adding approximately $3.7 billion in annual net spending — or 1.8 percent of the county’s total gross regional product. Former students employed in the San Diego County workforce are taking the skills and knowledge they’ve learned to add $3.1 billion in spending each year, enough to support nearly 36,000 jobs. As an example, health information management program graduates have the opportunity for direct entry to the middle class, with salaries for some positions paying up to $115,000 or more. Our work, however, is not done. 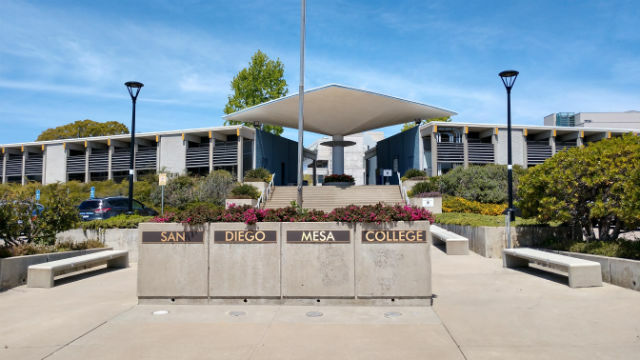 New legislation was recently introduced in the California Senate to extend the state’s Baccalaureate Pilot Program and allow more students to enroll at Mesa College and at the 14 other pilot colleges. Senate Bill 1406 authored by state Sen. Jerry Hill, a Democrat from San Mateo, would extend this job-creation, economic expansion program by three years and allow for a better evaluation by the state’s Legislative Analyst’s Office. California would be wise to support extension of this historic program to give more students like Henry, Victoria, and Michelle the opportunity to earn an affordable degree that leads to good-paying careers. 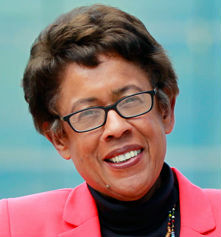 Constance M. Carroll is chancellor of the San Diego Community College District. The district is the second-largest in California’and serves approximately 100,000 students annually.